This superb boat has been on our fleet since summer 2015 and will be one of the largest if not THE largest performance powerboat available for charter on the south coast. 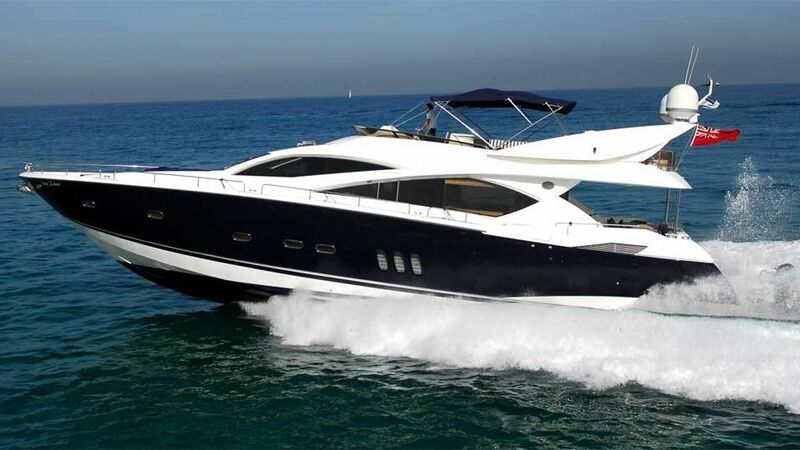 It provides guests with the ultimate in Sunseeker luxury and performance, with a vast open planned saloon as well as a beautifully designed fly bridge for those sunny days on the water in the Solent. Fully equipped with the normal Sunseeker luxury’s this boat will be one of the most exclusive entertaining venues in the south, on land or sea!. Add to all this luxury a blistering performance now famous with Sunseeker and you have the perfect platform to entertain guests or reward staff. Comfortable with up to 12 guests, this boat will impress all that are lucky enough to spend a day on board.